We are always thrilled to hear from guests about your experiences and are pleased to share some of the photos and comments sent to us (with permission) with you. My wife and I found The Foot Trails website and sent an email inquiry to them. We received an immediate and thorough answer and we were pleased with this company from that point on. 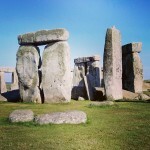 They were able to customize a very specific tour for our vacation in the Cotswolds. They made all our arrangements and provided everything we needed to make our stay fantastic. 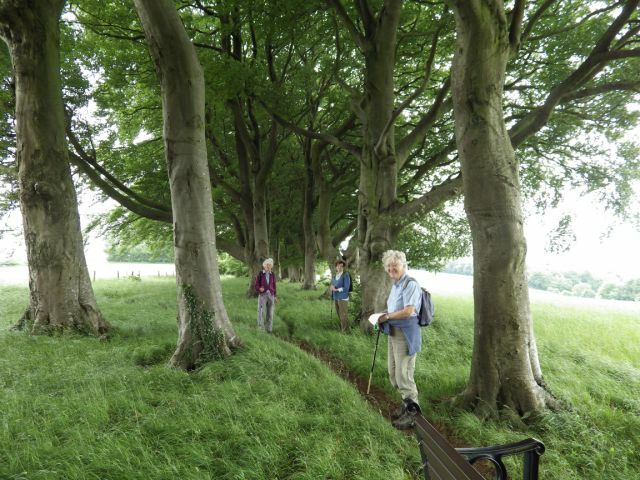 If you want to take a walking tour in England you should contact Foot Trails. We’ve used Foot trails 4 times now & would book with them again. Great organisation which makes the holiday even more relaxing knowing all the planning & research has been done for you. There’s always a bit of excitement when we arrive at the accommodation as you know it’s going to be unique & the food will always be good. Foot trails is a company where you can just pick your destination & that’s all you have to do. They have a standard & stick to it, keep up the good work! My husband and I loved every minute of our holiday. Everything was perfect – the whole experience of booking the trip, having every detail of the trip thought about and organized, the excellent communication throughout. Really enjoyed our drivers and their excellent service. 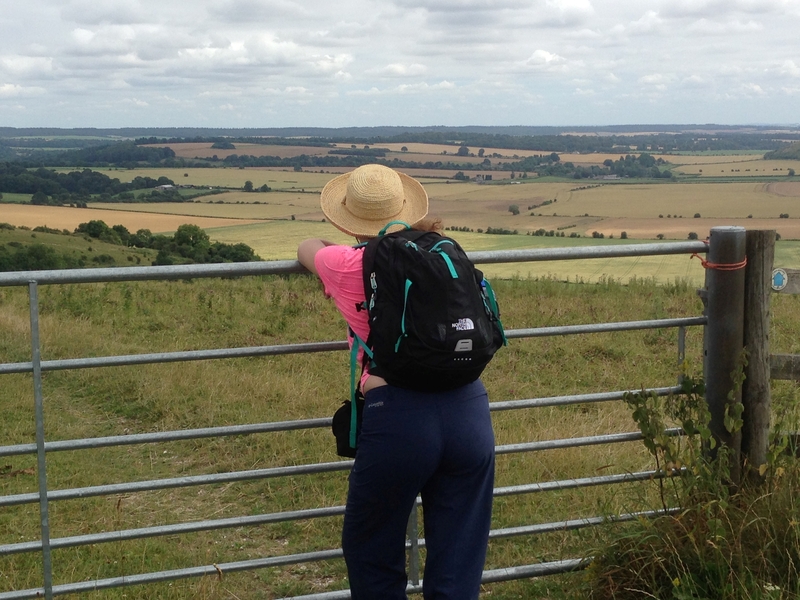 Then of course, we loved the well described walks through the most wonderful countryside. If we ever felt we were going the wrong way, which was seldom, we just stopped and read the directions again. Such variety each day of the trip. Of course, having great weather helped. Loved our travel box with such well prepared materials. So easy to carry the daily directions along with us.Loved the little extras in there. Also appreciate the recycling options. Thanks so much. I really hope we can do this again. I felt in such good shape when we were done! The accommodation was first rate, the walking maps and cards were easy to follow and the trails although at time a challenge (wet under foot) but the scenery more than made up for it. Thank you so much for arranging my holiday. 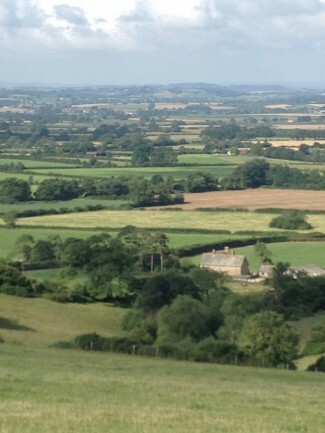 My heart longs to be back in the English countryside as I have never seen more beautiful scenery. The experience was breathtaking. 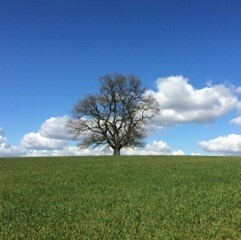 It was very soothing to the soul to walk across the countryside in peaceful solitude. My gratitude for Mother Earth was deepened each day. I highly recommend it for solo travelers. Each day was very lovely waking up in a comfortable inn and then going on an adventure! I really looked forward to each day’s trail. I took my holiday in a bit of a colder season, but I did not mind at all the misty & chilly days as it strengthened my walking efforts and made my meals more hearty! 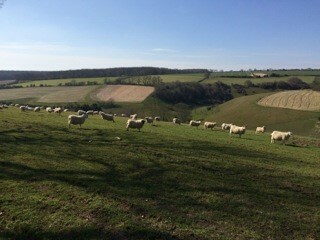 Well, all back safe and sound after a lovely few days staying in Wiltshire. I have to congratulate you on your organisational skills both with the accommodation and also the walking pack and arrangements. We all loved the Inn. 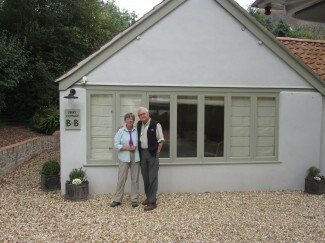 Alan and his staff were very welcoming and helpful and we spent a very pleasant time there. 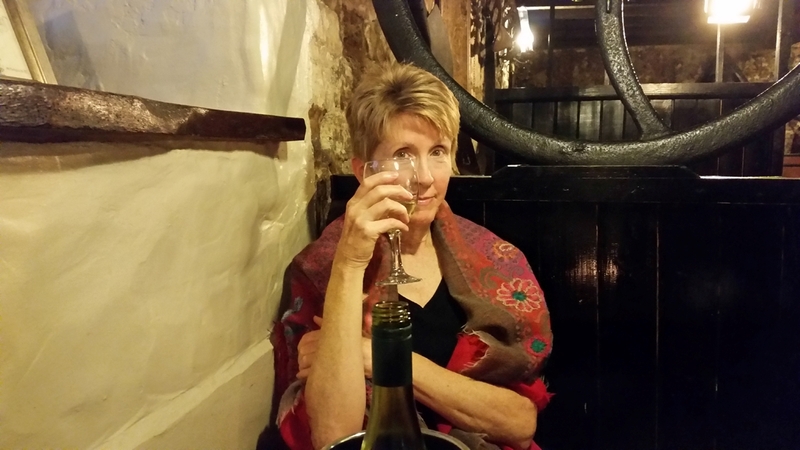 We were particularly impressed with the food – excellent ! I’m sure that before the year is out I will be in touch – as I said before we find your organisation, choice of trails, accommodation etc very good indeed. 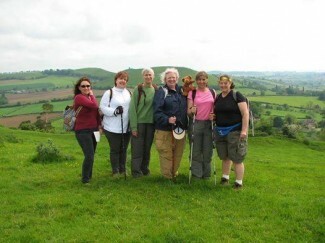 View the photographs Maggi and her friends kindly shared with us from their walking holiday in Wiltshire. We had a great time on our Knights Medieval Castle trip. Everything was so well organized. The maps and directions were very well done. The inn was excellent and the food was outstanding. 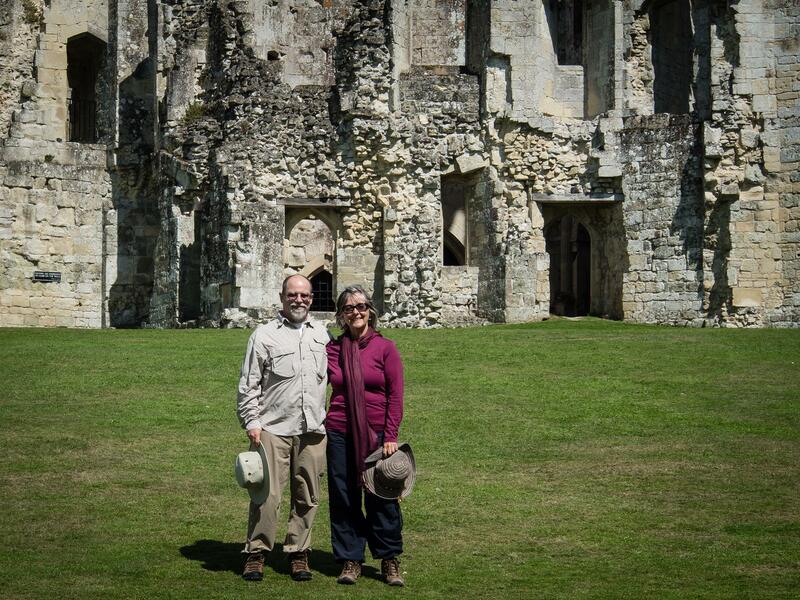 View the photographs Jerry and Sheila shared from their Knights Medieval Castle Foot Trail. Quick Winter Trip – We had a spare few days on a trip from Australia to Europe so though we would utilize the time to spend a few days in the English countryside and for a variety of reasons selected Dorset. The service from Foot Trails and information supplied was fantastic. We had used a large company previously for another English walk and there was no comparison with the level of detail and service provided by Foot Trails. We really liked the detailed notes to accompany the maps. An amazing assembly of villages, inns, cities incorporating an incredible range of views, A complete change of pace from day to day life. I would also like thank you and your team for the fantastic customer support. All our questions have been answered immediately and all our wishes were included into our itinerary. Your team is very friendly and helpful! We are already looking forward to our trip and can’t wait for it to start. So sorry I haven’t written until now—we’ve been busy! And exhausted! We loved what you set up for us. All the inns were great; everyone was friendly and welcoming and our rooms were lovely and comfortable. The food was good everywhere. The hikes were great. We made the mistake of not getting everything out of our box the first day and just used the map—no cards—and we got completely off track on the Old Wood trail. Luckily we both have a good sense of direction so we made it back in good time, not without being poured upon, however. Thank goodness for towel heaters!! They saved us everywhere we went. The improvement in English bathroom technology in the past 20 years cannot be overstated!! The weather, well, was less than perfect, but we really were not much bothered by it. It would have been nice to view the Wardour Castle ruins in less than pouring rain, but it was wonderful anyway. That afternoon, well, and the first afternoon, plus the end of the Dorset Circles afternoon were very wet, but aside from having wet gear to deal with, it was no problem. We loved all of the places you’ve chosen for your foot trails and I hope we can call upon you in the future to help us again to have the best time we could possibly have exploring and experiencing the English countryside. Wonderful, we have been traveling for 40 years and this is one of the best trips we have been on. After having visited most of the large cities of Europe we have been going back and trying to visit the countryside of some of the countries. Your company did a fantastic job of putting the trip together and personalizing it. If we travel again in the area that you work in will definitely use you. I do not know of anything that you could do to improve your service. I think the communication and service was great. I have taken other similar trips and really feel like you rate up with the best. We certainly enjoyed our walks and the entire experience. We appreciate all you and your team did to make it a success. I am attaching two photos that you are welcome to use. The first I think is particularly beautiful of Avoncliff and the second shows me during the third day of walking. 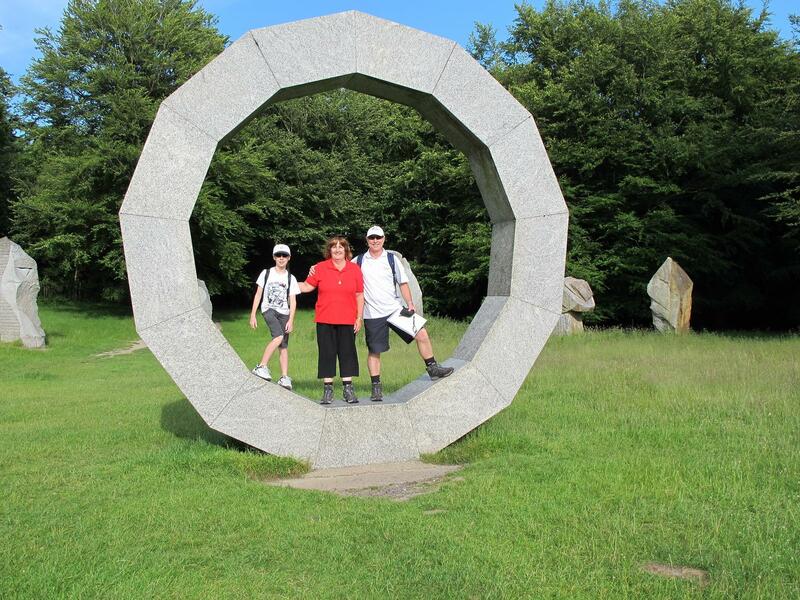 We would love to do another walking trip sometime, so we’ll enjoy receiving your newsletters. The story behind the hat photo is that I was looking for a hat to wear to this fancy event back in Canada – and lo and behold wouldn’t you know we see the perfect hat in the window of a little consignment shop in Tisbury on our very first morning of our 4 day hike. My daughter insisted that I buy it – despite my reservations of getting it back to Canada in one piece and the fact that we had to wear it the whole first day of our hike! So up an over the hills of England, through the sheep farms, under the tree canopy’s, over the stiles, into the English pubs, through some muddy lanes it went! And yes, it made it back to Canada in one piece! The trip was wonderful. The walking tour was so well planned by Foot Trails. The beauty of the countryside was everything we imagined of England. Our accommodations were excellent. The taxi service was excellent, everyone was so informed and helpful and very kind. We did have a couple of challenging days because of weather, but that was expected on our part. We would not have taken the trip if we didn’t think there would be some challenges. We enjoy having physical challenges because the rewards of seeing nature in all it’s beauty can not be seen from a car. We like being immersed in nature and local culture. This trip did all that for us. Tomorrow we are off to London and back to Canada the next day. Our walking trip, your itinerary, was fantastic. A couple of showery days at the start, in Bath and then warm sunny Fall days as we walked through the Cotswolds. We enjoyed the accommodation you arranged and looked forward to the meals at the end of each day. Three days walking and one day free time is a good combination. 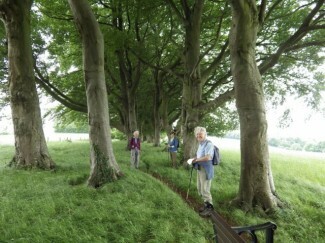 We spent the last couple of days visiting Blenheim Palace and doing a local walk in the Kingham area. We enjoyed meeting you and David. It will be a while before we get to do it again as next year we have two weddings and a graduation to contend with. I have passed your name onto a few people who might be interested to do what we did highly recommended I must add. Thank you, we had a really lovely walking holiday. Relaxing, refreshing, rejuvenating, interesting, FUN. We had a truly wonderful time! 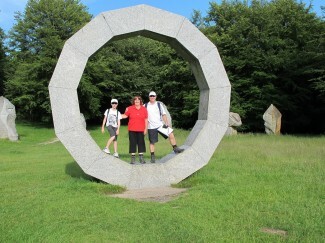 Just to let you know that we successfully completed our walking holiday last Friday week. It was a great holiday and certainly exceeded our expectations. Thank you so much for the wonderful service you provided. We have posted back to you today the printed material that you supplied to us. Don’t be surprised if we contact you in a year or so for another walking adventure. Thank you for a wonderful 4 days! I realize you were not responsible for the weather but I credit you nonetheless. The walks were amazing. My confrontation with the teenage herd of cows successful (from my point of view). And I now know experientially what a stile is. I also have confidence that I can open most any gate a farm could throw at me. Your directions were excellent and quite informative. I will highly recommend you to other enthusiastic walkers. 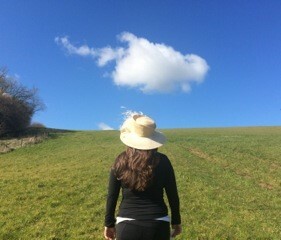 I wanted to let you know we had the most amazing weekend in Somerset and Dorset. Loved the walks and the pubs too – it was the perfect Autumn escape from the city. Well, the ONLY regret I have of our wonderful trip is that we have only ONE photo of the two of us. Taken by our transport driver, Andy, when he picked us up one morning. It is attached! The rest of the time we were happily solo, taking pictures of each other.If we are fortunate to be able to do it again, we will ask some of the wonderful locals we met walking their dogs to document our shared enjoyment! 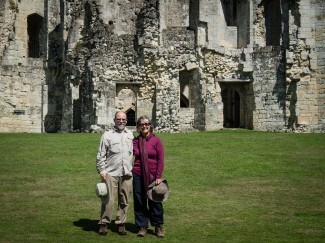 Thank-you, Alison and David, for a superbly organised walking holiday in Dorset and Somerset. Your attention to detail was much appreciated as I followed your precise instructions and useful map. The scenery was lovely and the weather perfect every day! I really enjoyed the historic towns such as Sherborne and the medieval village of Ashmore and the old Provost mill. There are so many layers of history in the UK – it’s fascinating to think of those who have gone before us. I was a bit nervous about the cattle in the fields, but your practical advice helped a lot when two steers followed me! The inns were of the highest standard and in lovely old villages. They are destinations in themselves The staff were most welcoming. Thank you for all your work! 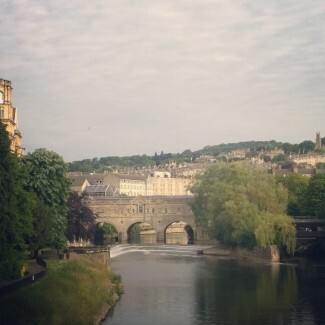 Just letting you know that we really enjoyed the first two walks in Bath and the Priory walk today. The guide notes were faultless and took us to some really interesting and beautiful places. We even made it back in reasonable shape! 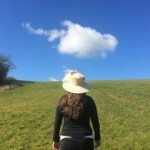 We loved our Cotswolds walks. Thank you so much for organising a carefully planned program. As first timers to the area we could not have been happier with your planning and communication. We have booked with other companies in different parts of the world but we would have to say your company has been outstanding in all areas. The combination of quality Inns, great food, friendly welcoming service and the opportunity to revel in the great outdoors and take in the many fantastic views. For those who do not normally engage in walking activities the achievement of completing wonderfully peaceful routes and the return to quality Inns where you can pamper yourself. 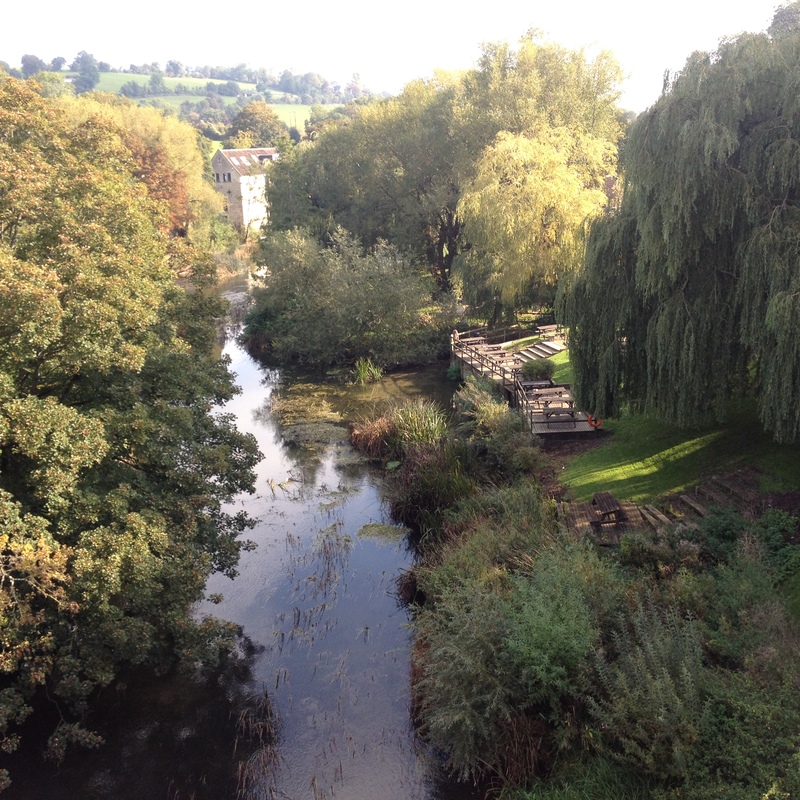 Our time in the Cotswolds was wonderful. …the accommodation was great and the meals we booked at the inn were also most enjoyable. Vyki and I had a lovely walking holiday! 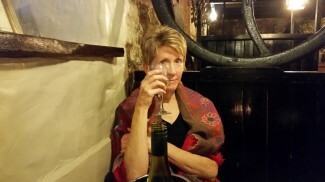 The location was gorgeous and we were thrilled to stay at the King John Inn. They were very welcoming. It was our first walking holiday and our first time in that part of Dorset. We were expecting big sweeping hills and lovely villages and that’s exactly what was provided! The favourite memory was the excitement of finding everything and exploring all of the new places. When we first arrived we drove past the inn without realising and thought how gorgeous it looked; it was even more exciting when we realised that was where we were staying! The trip was very good for photography. 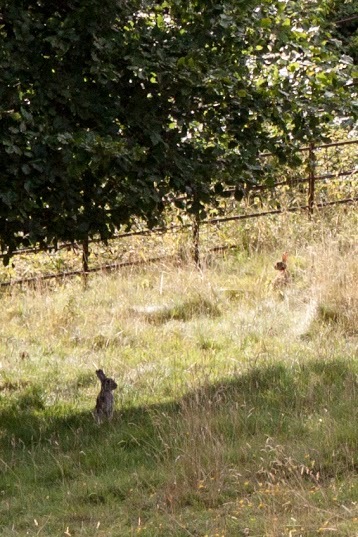 Plenty of lovely opportunities for panoramic and wildlife shots! Everything about our adventure in England was perfect – weather, accommodation, walks, food, and companionship. Foot Trails worked with us on arranging just the right walks, accommodation and transportation. I highly recommend them! We just arrived back in the US late last evening. I will put together a few photos today and get them to you. Everything on the trip was great. All of the inns were welcoming, the food exquisite, the beds soft, and most important of all, the showers hot! As I said before, the walk cards were excellent, extremely exact and well-organized. I do have one walk card correction: On “The Kings Quest”, step #18… “where the field changes, there is no physical fence or gate – turn right” is no longer accurate. There are now two fences where the field changes and you simply turn right and walk between them until you join in the track that leads into the farmyard. There were not any gates involved, just fences. Anyhow, thanks for everything. It was WONDERFUL and I would recommend it to anyone who is up for climbing over gates and running from curious cows. A fantastic holiday and thank you and David both for organising it for us. Peter and Jean also had a great time. The Bath City and Country walking holiday looks good and we’ll certainly be looking at that next year. I wanted you both to know how much we enjoyed our Foot Trails adventure. The maps and instructions were superb, the inns fantastic, and the recommended pubs wonderful. The van drivers and the cab driver were all personable folks. They arrived promptly and drove carefully. Your assistance for our one slight problem was much appreciated. Again, Foot Trails did a fantastic job and we had a blast!!!!!!!!!!!! We have returned from our lovely break in Wiltshire and wanted to send you a quick email to say Thank you. Everything was perfect and the accommodation and food was of a very high standard and exceeded all expectations. Alan and his staff were very welcoming and helpful and so friendly. Even the sun came out and only rained once we were in the car heading home. Everywhere was dog friendly which was such a relief to us, particularly at the inn where the locals spent more time with Charlie than they did with us. The directions and maps for the walks were incredible and easy to follow , particularly as I ended up a lone walker with Charlie for the last two days – Roger gave up after day one preferring to head directly to the hostelrys! Thanks you so much for making this such a enjoyable and relaxing few days. We shall certainly recommend you and use your services again. Just letting you know our trip was fantastic from start to end!! Everything was planned and everyone who looked after us was great. We loved every minute of it and are planning to do this again sometime soon! Thought you might enjoy this picture. Just to let you how much we enjoyed our recent foot trail. The amount of thought you put into the choices of walks, routes, and accommodation is obvious, and all of the people who worked at the inns where we stayed had great things to say about you and David. We were trying to think which one of the walks was our favourite, but with so many lovely tracks and wonderful places to see and enjoy I don’t think we can choose! We are so lucky to have had this experience, thanks for your thoughtfulness. And by the way, the time spent with you was the best part of our holiday – we also visited London, River Cruise in the South of France, Barcelona and Singapore on our trip from Australia! 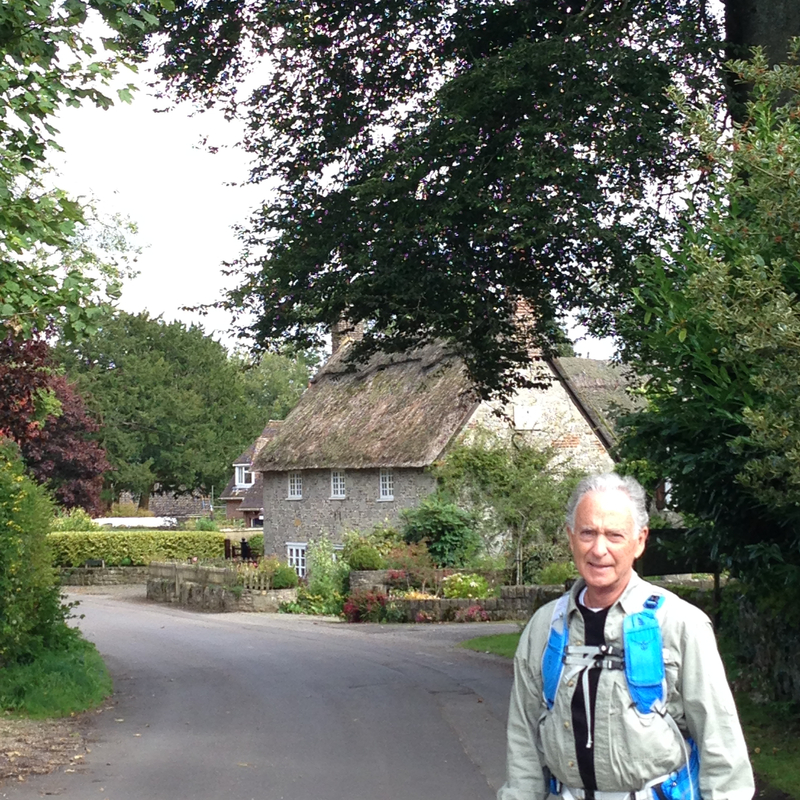 We had 5 fantastic days of walking the Dorset and Wiltshire borders. Our Inns were all exceptional in different ways, with the common thread being that they were all very friendly and accommodating. The organization was faultless and thanks to you and Alison we enjoyed the best 5 days of our vacation in the UK. 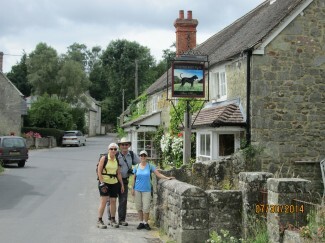 Just wanted to let you know we had a wonderful time on our inn to inn walking holiday in Wiltshire & Dorset. Lots of different types of trails and paths, we never got bored! And the food at the Inns was absolutely delicious. Just a short note to let you know that we enjoyed our recent hike in Wiltshire and Dorset immensely. The accommodations were lovely & very comfortable. The food was excellent and every meal was beautifully served. We found that the walks were not difficult and included the most spectacular views. All in all, it was an amazing week. I would also like to mention Shirley, who made our trip from Heathrow to Bath a very pleasant and comfortable experience. After being in a plane for over 7 hours, it was wonderful to be met by a very friendly driver who made us feel welcome immediately and whisked us away to our destination. We found your maps and trail guides an enormous help on the trails. The notes were very detailed & helpful & the additional historic footnotes brought the area alive for us. 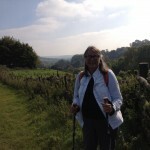 I would highly recommend Foot Trails to anyone planning a walking trip in Wiltshire and Dorset. I want to say what a wonderful few days we had on our Foot Trails walking holiday. The pub was excellent and nothing was too much trouble. Your walks were so well thought out and varied. 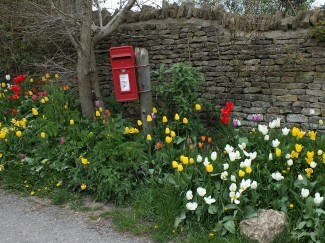 The wild flowers were amazing and the weather superb! Thank you again for organising such an excellent time, it was lovely exploring parts of Gloucestershire I didn’t know (and I grew up near Stroud). Hopefully we will holiday with you again next year. 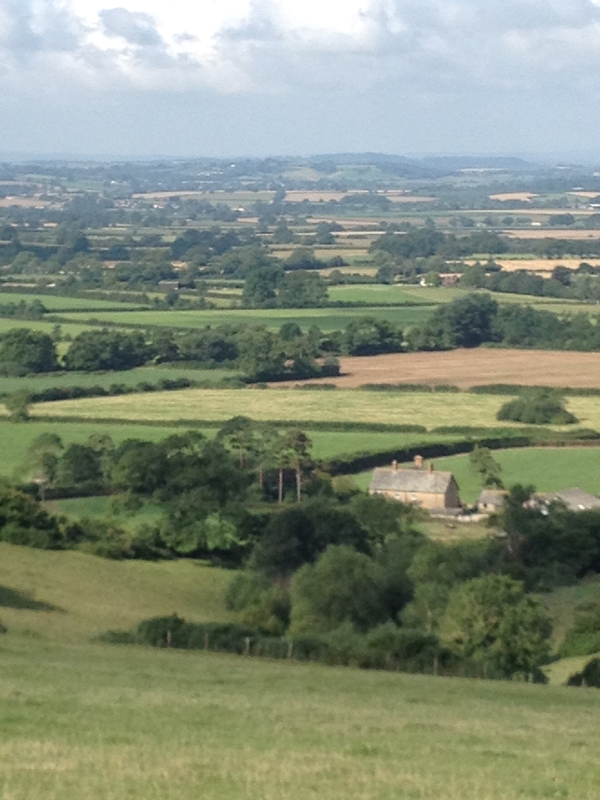 Thank you so much for organising our walking holiday in Dorset and Wiltshire. Both inns were excellent. We would happily go back to either one again. The staff were young, enthusiastic and cheerful. The walks on days 1 and 2 were very different in nature from days 3 and 4, and we think that you got it right to plan the walk that way round. Overall, a most enjoyable holiday. The beauty and nature of the countryside was a revelation. We met nice people. We are pleased that we went there and not to Provence which was the original idea. We will be coming again to do the bits we missed. 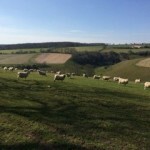 We have recently completed two walks organized by Foottrails, one independent four day walk in Dorset and a six day guided walk in the Cotswolds. We thoroughly enjoyed both. The arrangements were meticulous. For the independent walk we were provided with very detailed, easy and accurate directions for each day’s walk, as well as ordnance survey maps if we preferred to use those. Each day provided glorious scenery, and the walks were suitable for anyone with moderate fitness levels (although there were a couple of more strenuous climbs, definitely worth it for the views). The walks took us places we would never have found ourselves. The accommodation at the two inns was welcoming, stylish and comfortable, a pleasure to return to at the end of each day’s walk. And importantly, there was excellent food and decent wine lists. The Cotswolds walk was led by David, and his passion for the history and geography of this beautiful part of England was obvious. He was very much in tune with the group and his judgement about how much information to provide was spot on for the interests and knowledge of the six participants. Lunches were highlight – a mixture of casual and upmarket pubs, all with great food, plus a memorable picnic. As in the independent walk, the scenery was stunning, and we came across numerous picture postcard perfect villages amongst the beautiful rural panoramas. The welcome dinner hosted by Alison before the first day’s walk enabled the participants to get to know each other, and the group quickly bonded. We all agreed how much fun it had been, and were all impressed with the professionalism, expertise and warmth of both David and Alison. Thank you both again for two very enjoyable and memorable walks. We will be recommending your services to everyone we know who enjoys walking, the countryside and good food and wine. We had a super time. The walks were wonderful and once again you have been so clever as they were all different, we also saw the remains of the Jubilee beacon on Cadbury Castle! The waterproof paper was brilliant and your instructions were so clear. The pub was excellent and nothing was too much trouble to them, we were all very comfortable. 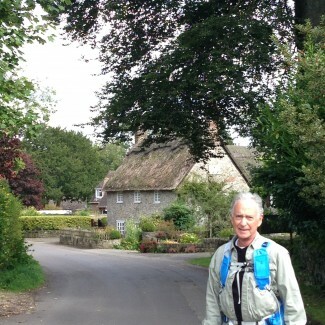 Safely home from our Walking trip to England. I wanted you to know Karen and I had a wonderful time and enjoyed all the routes and lovely Inns you had arranged for us. All your travel arrangements between Inns turned out so well- everyone on time and especially nice people as well. 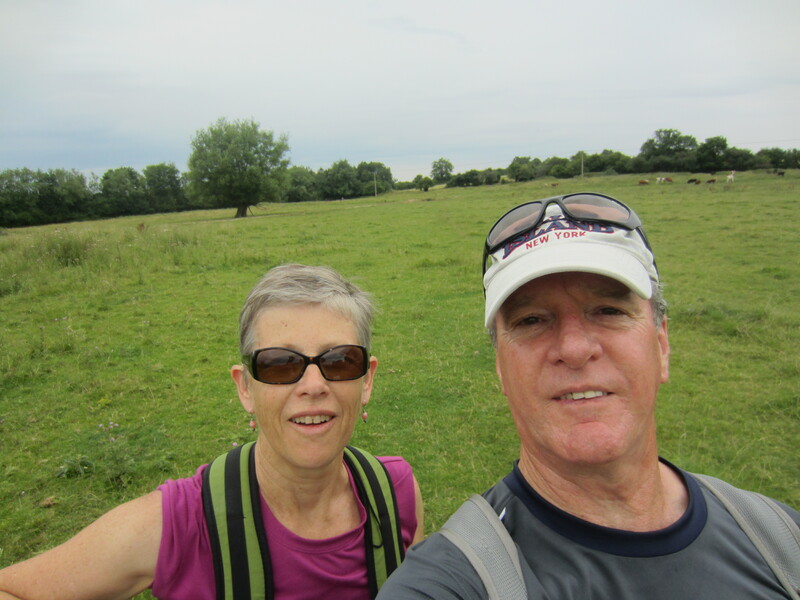 We couldn’t believe the beautiful weather- every day!- did not want to use it all up before the Jubilee but fully appreciated the extra enjoyment it brought to our rambles. 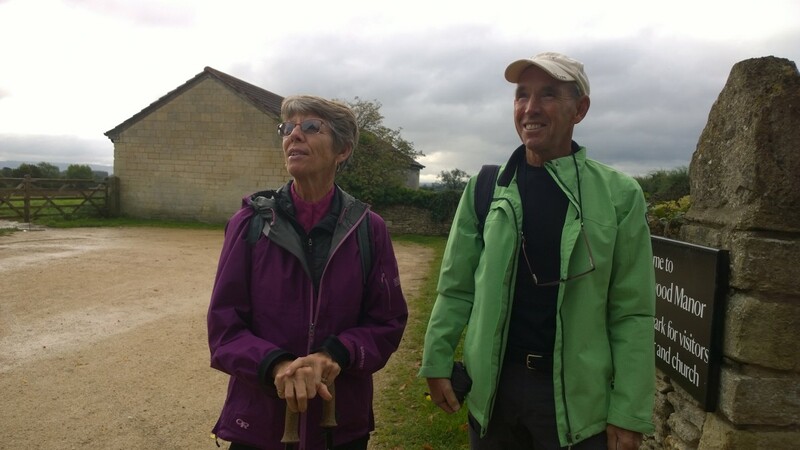 We loved the routes you had for us and were especially appreciative of your change in route for the last day to Upper and Lower Slaughter- beautiful areas and good walking once again and an outstanding walk for our last day. We took pride in walking every route you set out for us. We can recommend you and Foottrails with great enthusiasm. I hold special memories of my years in England and your trip brought back so many special places and happenings and new ones to savor and long remember. So glad to see England has done so well preserving her countryside and history- Sorry we could not visit with you at some time along the way. Sending our thanks and every wish for continued success in leading people around and into the countryside of England. The best chilled out weekend I have had in ages to totally relax and get out of London for the weekend. The Inn was a delight to stay in. The walks were enjoyable and a little challenging, however at the time they didn’t seem so. David is very knowledgeable about the area and it was fun having soup in the grounds of 14th century castle with a full canteen of cutlery and hamper basket. Every time David went to prepare lunch away he came back with something to surprise us on our picnic lunch and wouldn’t let us help set up or clear up. Thanks for a fantastic weekend and walking in the countryside. Fabulous! It was a holiday filled with wonderful memories, from the people to the trails to our hosts, I had a lovely time. Excellent! The walks were beautiful and David was an attentive and knowledgeable guide. The Inns and pubs were great places to eat and drink. It was all very easy, and really, we did not spend any time thinking about the logistic, know that it was all taken care of! 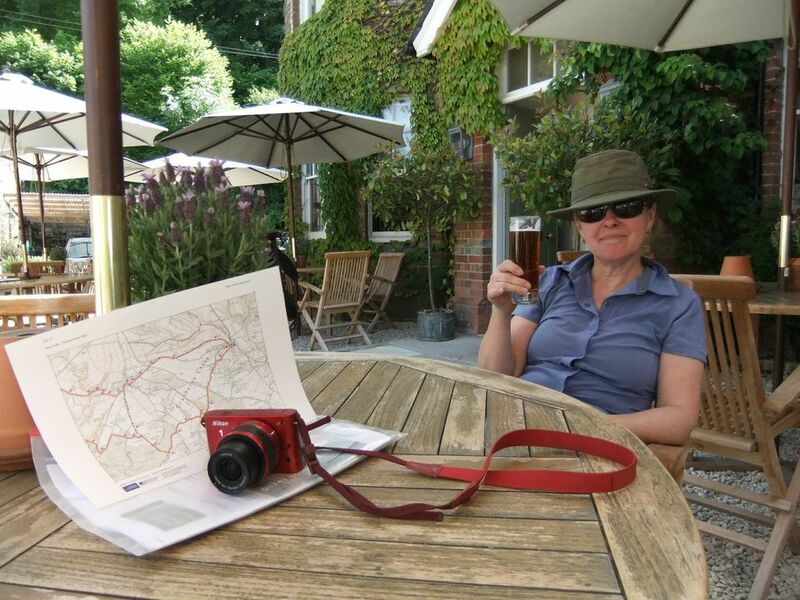 Fantastic, fab walks, fab weather, fab pub! A reminder of how beautiful England is and that you can have a wonderful holiday here in England. Dear Alison, We had a wonderful holiday – great walks, excellent hotels and super documentation. Many, many thanks. Another satisfying and enjoyable break, well organised. Peaceful and relaxing. We only saw 2 other people walking in our 5 day holiday. A very well organised, relaxing break. Fantastic hotel, excellent food – amazing chef! Wonderful attention to detail from start to finish. Total switch off!! Relaxing, just what the doctor ordered. Tailored walks to free the mind but test the body. Please keep doing what you are doing! We had a most relaxing time being with nature and with each other. The birds were singing the whole time. We were able to walk our own speed and relax when we felt like it. The instructions were easy to follow and the “out of the way” villages were absolutely charming. Thank you so much for the wonderful walking experience Foot Trails created for us. Our first walking holiday was very much an experiment on our part. The challenge of walking on our own was quite daunting. The seamless organization, beautiful countryside, friendly locals and absolutely wonderful historic accommodation converted us to the delights of walking. The restaurants in every hotel revealed the rebirth of English food culture, whilst the welcoming village pubs eased the aches of a long days walk. The Foot Trails walk was by far the highlight of a trip that took in London, Glasgow, Paris and Singapore. We have started planning our next Foot trails walk, the Dorset Coast cannot come soon enough. Wonderful! 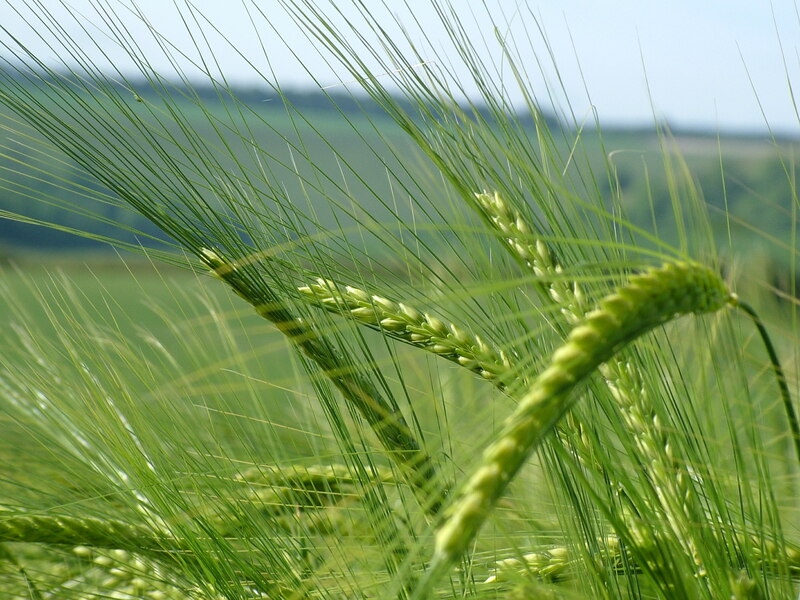 I learnt so much about our countryside and fell back in love with it. Unforgettable experience, thank you. Fantastic holiday – Lovely to be out of the hustle and bustle of the city. We will definitely try a different walking break next year. Perfect – from start to finish! Loved the walking pack, and the walks were very special. Great help and information provided throughout, with a personal touch. Just what we needed, brain in neutral, excellent weather, enjoyable scenery and excellent accommodation. We had a great time on the guided walks and really found that your knowledge of the history of the area enriched our experience greatly. Neither Barbara or I had walked with a group before, and we really enjoyed everyone’s company. We will certainly consider Foot Trails for any future walking in England, and will recommend it without hesitation to any of our friends. Very enjoyable with excellent organisation, I was impressed with the quality of all the services that were used. Everything was so well organised by Foot Trails. All we had to do was relax and enjoy it! Your help and advice was outstanding. Excellent customer service. Many thanks. Very enjoyable lovely and varied walks and countryside. Excellent, friendly and efficient service. 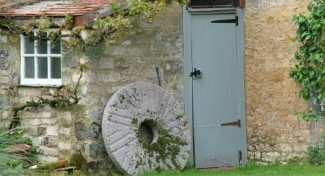 We are home from the UK, over the jet lag, and just looked at the photos we took of our walk in Dorset. We both wanted to tell you and David what a WONDERFUL time we had. We appreciated the careful and warm leadership that David provided and his use of history and literature to make the stunning landscape even more significant. 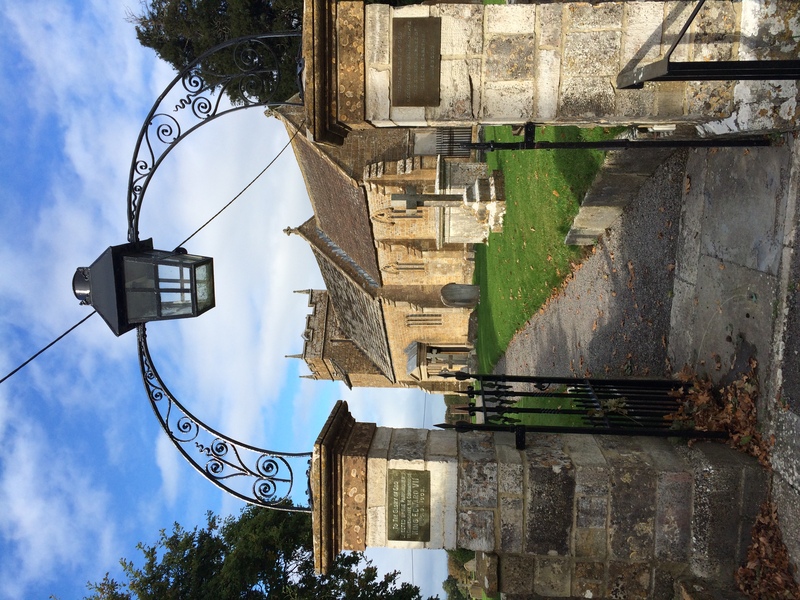 We loved Dorset, the #### Inn, the side trip to Shaftsbury, and the gorgeous villages. We will never forget the trip! Thank you. 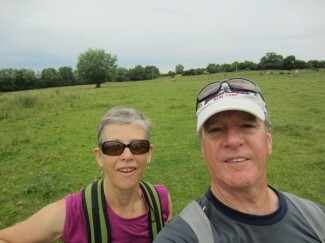 We have been walking individual trails in different country’s all over Europe for twenty years now. This was without any doubt the best holiday we ever had. Perfectly organized, nice accommodation and tasty food in the inns, the trails, the old landscape, the wild animals and flowers, the huge trees, the cosy villages, the cottages, castles, gardens the tiny churches the pubs at noon, the lovely views the variety of trails trough meadows, over farmers land and so on..We enjoyed every minute of it Next year, you ask me? OF COURSE! Just wanted to say thank you so much for a wonderful weekend, we enjoyed it very much. The hotel was great, the company charming and the walks an inspiration. I came back so relaxed, I almost took a Duvet day today, couldn’t face work. 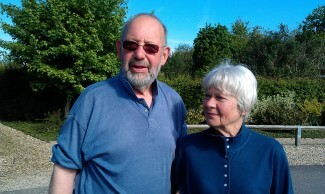 We would like to say thank you to you both for organising the trip, and making it all so effortless. I have already given your web address to two people today, and will certainly recommend you further to friends and family. Thank you both again, and we look forward to joining another walk soon. We had a lovely time. Beautiful countryside,excellent walking routes and accompanying notes,a welcoming inn with surprisingly good food and interesting ambience. Apart from he rather persistent rain the 3 days could not have been bettered. Our friends,the ******** were in full agreement. I decided to keep the OS maps as we will want to visit that area again. 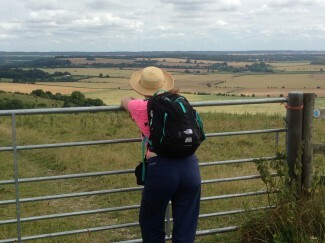 I no longer hold the view that Wiltshire is our most boring county! Thanks for helping me discover that. We just wanted to drop you an email to say thank you so much for organising our honeymoon. It was so magical. The walks were fantastic, the food was divine and the accommodation was heavenly. We couldn’t have had a more perfect time. 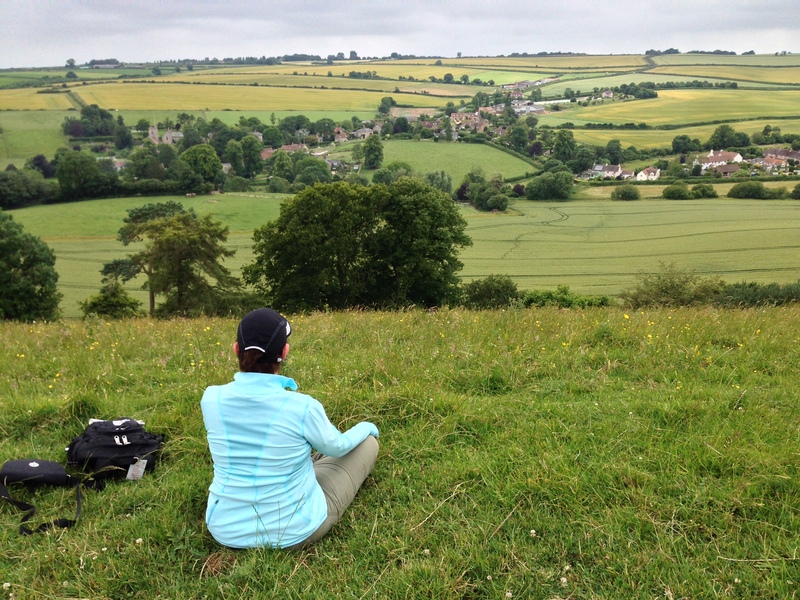 The Cotswolds is such an amazing place, and somewhere we have explored before but thanks to David’s wonderful walks, we felt that we were seeing it with fresh eyes. Foot Trails really don’t put a foot wrong! PS- Attached is a photo of me just after I fell in a muddy puddle! Just got back from three days in Beaminster. What a fantastic break – I rate it as my best holiday ever. Despite the pain, not having done a walking holiday before, it was brilliant. From the initial contact to the hotel, the walks, expert guiding and the unexpected views of River Cottage, the whole package was first class. David may have mentioned that I own and run a travel and event management company taking clients overseas – I can see that I am going to have to up my game! The quality of joining instructions were very good – we had a chance to look at some of your self-guided documentation also which was very good and very informative. I can’t wait for the next one – checking the website now! I just wanted to thank you for organising a brilliant weekend. We were so lucky with the weather, but we were thrilled with the hotel, the food and your instructions. It was worth every penny. Many thanks for another lovely weekend. John and I enjoyed ourselves a lot – lovely group and stunning walks. I don’t think I’ve ever seen so many snowdrops!! Just to say ‘thank you’ for such a gem of a weekend! We are so impressed with your excellent, highly personalised, package; it met our needs perfectly! As for you will recall, the weather was somewhat mercurial! Aware that Saturday promised to be a particularly grey day, we decided to arrive Friday lunch time, have a bowl of soup at the River Barn and then do half of the Beckford walk(backwards!- and, yes, we could follow your instructions! ), doing the other half on Saturday afternoon once the rain clouds had dispersed. 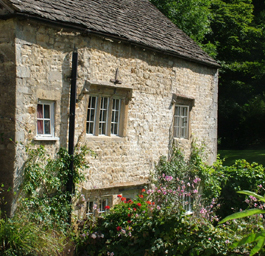 We somehow managed to visit the River Barn four times in all for refreshments; another excellent recommendation! Sunday, of course, greeted us with sunshine and we set off on the Stone masons’ Trail. What a treat! Such a variety of landscapes and fascinating snippets of history (by the way, an inhabitant of Chilmark told us the headmistress of the village school is a Macey!) To have lunch at The Compass was, yet again, a treat! We arrived home on Sunday evening feeling, a little tired physically, but with spirits soaring! We would not hesitate to recommend ‘Foot Trails’ to our friends. Many thanks, Alison and David! My friends and I have just returned from yet another, my 4th trip!, Foot Trails break. 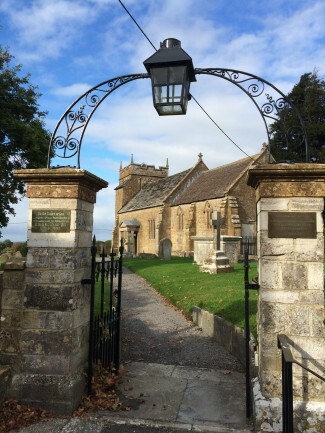 This time to the Cotswolds around wonderful Stow-on-the-Wold. I love saying that name!! And Moreton-in-Marsh, and Bledington and Broad well…something rhythmical about English place names. I’m sitting on my sofa thinking about my week and telling my family about it down the phone to Australia. I always love my walks with Foot Trails but got to say this one just took the cake!! How can anything keeping getting better when its always been so dam good anyway! I had a fabulous time and my friends are now converts too. 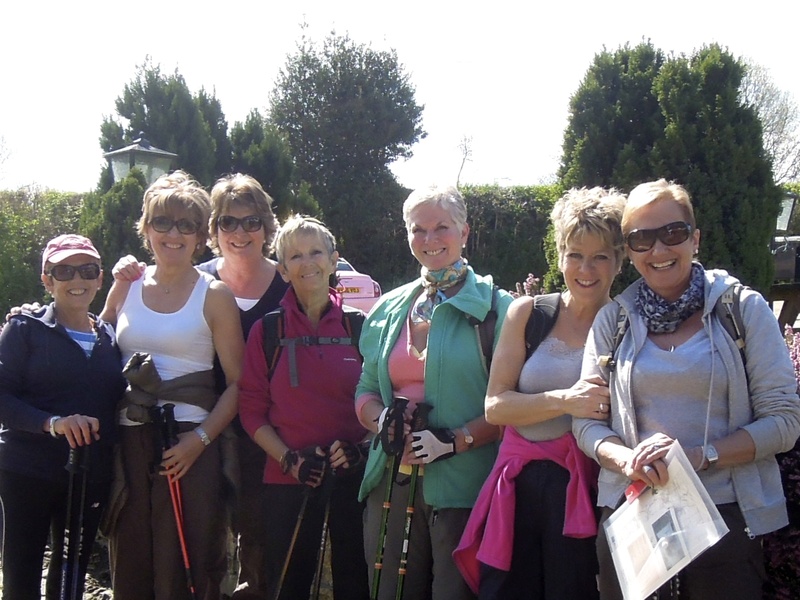 I think this group was great, the inn fabulous but the walks were what made it again. Great variety of views, tracks, scenery and so much history both natural and architectural. I hugged a 1300 years old yew tree!!! The Christian church it stood by was only about 900 years old!!! I also think that while David has always been fabulous I get the impression he has warmed up and extra notch and now their are a few extra layers of character, timing and the kit bag is full of tricks. My favourite the massive picnic appearing as if from no where!!! The pictures are of the 1300 year old Yew tree, our wonderful group, the fabulous inn and scenery. Too many superlatives? I think not!!! Thank you, Allison. We enjoyed our trip immensely. David really went above and beyond all expectations and was so nice. We lost some photographs, probably due to the rough handling of our baggage at Gatwick, but posted most of what remains at **********. It would certainly be nice to try another hike with you in the future. The distance was perfect .. we were able to get a good amount of exercise but we didn’t need to hurry and we got to the Inns with time to relax and bath before dinner. We are on the train to London after a magical two days on the trails! We will be posting your trail guide and map back to you, hopefully from London. 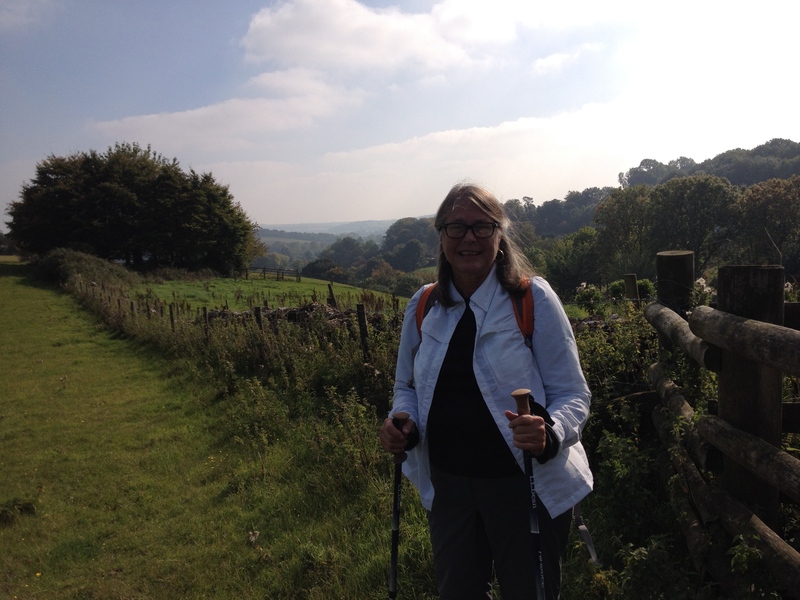 The walks were fantastic–just the right length and with so many interesting and beautiful sights. 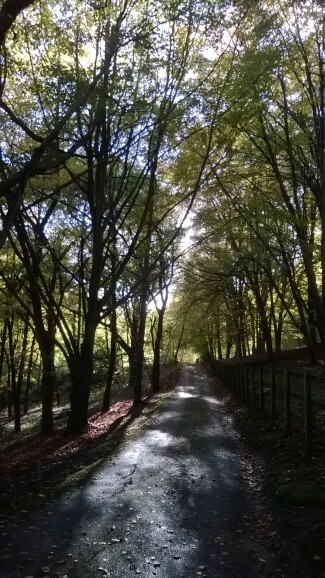 Our favourites were the beech groves below Upper Coberly to the east of Lynn Russell Chadwick’s cottage, the grouse farm to the east of Elkstone (worth a footnote) and Elkstone Church. We were very lucky with the weather, we hear! That only enhanced an already enjoyable experience. 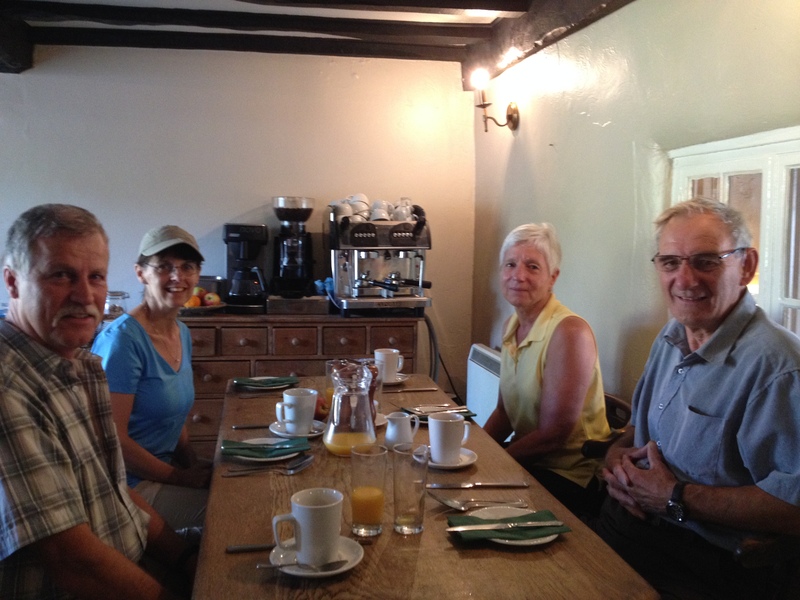 The Inn was wonderful–the staff were warm and friendly–after two days we really felt at home. With your guidance and help our short sojourn felt much longer. We fell very relaxed and full of memories. We had a lovely, magical time filled with great walks, yummy food and the beauty of it all. The trail guides worked perfectly. We were always so happily surprised to find the next link up point. When it said, go 50 yards and look for the ditch in the field, we did as told and there we were at the next marker. The English system of public paths for all to use is a marvel. 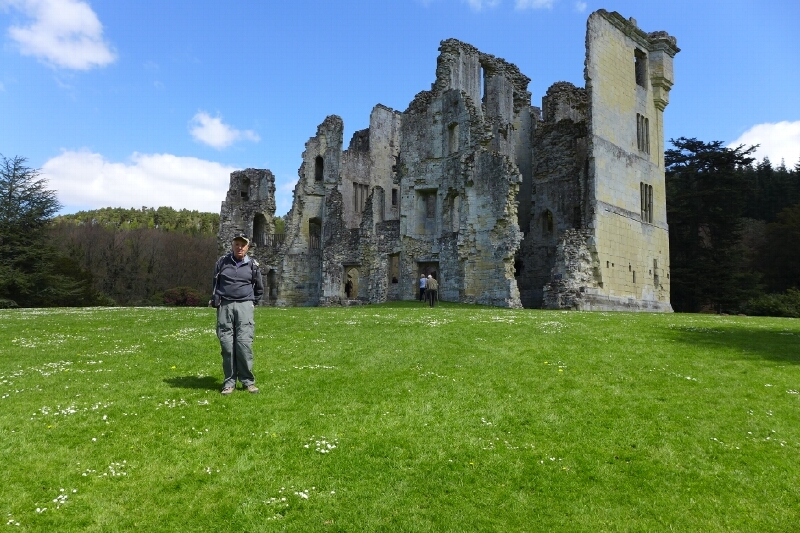 We took the longer route up to Chastleton and really recommend it to others – the manor is thrilling. Both Audna and I can’t thank you enough for organizing such a wonderful trip. We really enjoyed every minute. The walking was so refreshing and David paced us with care so it was just enough every day. The pubs for lunch were fun and very appropriate. We loved seeing the local churches and hearing David’s descriptions of them. Hearing the local village history made all the towns and villages come alive. 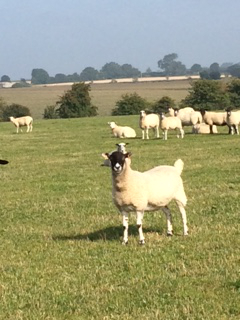 David knows every pepple and blade of grass in the Cotswold! We know this was all very last minute so we are ever the more appreciative. If all goes as planned, we will see you again next year! We are basking in the afterglow of our wonderful time with you in Somerset and Wiltshire. We enjoyed some golden weekend days in London, then flew back to our workaday lives in Florida, still picturing one of the most memorable holidays we’ve ever had. All of the arrangements made by FootTrails were superb, and efficiently done. David’s guidance and companionship on the walks gave depth and meaning to the sights we saw. The choice of trails and scenery was inspired. We can’t say enough about the excellence of FootTrails and the perfection of our holiday with you. Many, many thanks. The Inn was really good and the food was especially enjoyable. Two excellent walks. Somewhat overgrown in places, nothing insurmountable. Hotel very good. People, accommodation, food all impressive. You must suggest that anybody eating there tries the Scallops. Very pleasant hotel on the shorter walk, The Anchor? We’d be happy to try that one on future walks. We were lucky with the weather, not too hot and it didn’t rain. I just wanted to send you a massive thank you for organising the weekend at such short notice. We had an absolutely fantastic time, and the weather couldn’t have been better. The butterfly cards also came into use. I think we managed to spot more than 50% of the butterfly’s on the list! The food and hospitality at the inn was also fabulous. I really can’t say a single thing even remotely bad about the weekend, it was just wonderful! I wanted to let you know that Duncan and I had a superb time in Wilshire. The inn was fabulous with some of the best food we have had in ages…and Rachael and Lisa could not have been more welcoming. The room was also lovely. We also enjoyed all four of the walks (even the one in the pouring rain on the Wednesday!). Thanks again for putting everything together for us. I have sent back all the notes and maps (I´m afraid one of them a bit worse for wear due to the rainy day we had. We look forward to booking our next Foottrails soon! Just to say thank you for yet another super weekend! 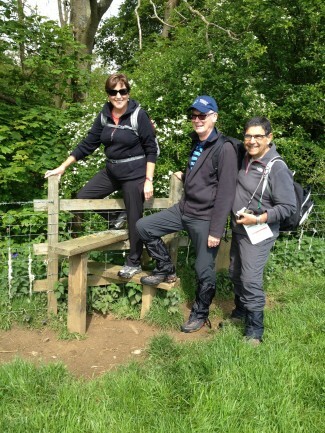 I was part of the group booked with Andrea Bailey, Cotswold Walk this weekend. Weather was super (despite forecast) walks were great and once again the inn looked after us exceptionally well (our car broke down and we were with them for several extra hours waiting for the AA!!!!!!!!!!!). Thanks again and here’s to next year!!!!!! I have today received my walking pack for our walking break this weekend. I would just like to say how impressed I am with this lovely, professional pack you have sent. I am not sure what I expected but I don’t think it was as good as this. Let’s hope the weather holds out till Monday!! Thanks again, I will definitely recommend you to friends. Just a short note to say how much we enjoyed the weekend in Wiltshire, accommodation was spot on (our hosts were marvelous and the food was fantastic) and the walks were great with really easy to follow instructions. Even *** didn´t get lost and considering her sense of direction that´s a real achievement! We will certainly be booking another trip soon. Can I thank you and all of the team for organising and therefore making our two nights three days away so good. The inn was a supurb place and the owners Anne and Paul were great hosts we really enjoyed our stay and the first class food, we recommend it highly. 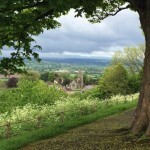 The location was perfect and as the weather was typically English we used the car on one of our days instead of the planned walk to visit several towns and still made the walk from Lower Slaughter to Upper Slaughter – four good fields as it was described to us. We got caught by hailstones on the way back and then shared the riverside view an hour later at the Mill in L/S with the ducks, all of us basking in the bright sunshine! Beautiful countryside, a wonderful day. I’ve been working on a collection of poems recently that evoke our Foot Trails journey from the summer. I thought you might like to have this one. My formatting may well be lost, but if I sent it as an attachment, you might not wish to open it. and laughed at the silly Americans. for our real parents, our true lives and true loves to arrive. much in the way of wonders. Thank you for a wonderful walk through frozen Wiltshire! Here are a few pictures to recall it. Reaching the summit of Win Green as the sun dropped away and our shadows lengthened was pure magic! The inn provided a cheering warmth and great meals. We feel strengthened for whatever the New Year will bring. I hope it brings you happiness and good fortune. I just thought I would drop you a line to say how much we enjoyed our walking break. The Inn was fantastic – really friendly staff and our ‘suite’ was fab. Not forgetting the food – the breakfast was so huge and delicious that we did not need to eat again until the evening! The countryside was really pretty. We were lucky in that the weather was warm but not too hot and it rained a wee bit but not enough to bother us. We managed all the walks – and the cards were really useful. Very different, hugely enjoyable, will do it again! We had a lovely holiday, even the walk in the torrential rain! We will certainly be looking to book another walking break with you. Absolutely brilliant – Foot Trails made everything so easy and the hotel was great. Far exceeded our expectations. This was the perfect way to celebrate 40 years married! Well planned walks. Just the right distance each day to enjoy the beautiful countryside away from the crowds. The inn was a super retreat, room with a view and very special food. Thoroughly enjoyable 3 days of walking with all the hassle taken out of organising your break away. I have walked the South West Coast path, Cotswolds way, South Downs way and the Pembrokeshire coast path. My first experience with having all the arrangements done for me, a real treat. Fantastic, beautiful well planned walks and a comfortable inn with wonderful food – heaven. Keep up the good work. Thanks for a fantastic holiday. Shall send you some pictures on a disk. From start to finish – a dream. Paradise is this piece of land called England. Thanks for our holiday. You cannot improve on perfection! It is so lovely to have a total break from my normal life and to experience such beauty with my friends. I think the whole process is great, and I love the walk packs, especially the butter mints! You have a wonderful company – keep up the good work. I am looking forward to taking longer breaks with you when my children are older!! Walks brilliant, weather great, picnic from Bramble and Sage unparrelled! Pub accommodation good. We LOVED our trip, and would book again, and recommend to family and friends. Wonderful, beautiful days, beautiful countryside. This was a car free walking holiday at its best. Wonderful weather, great walks, friendly hosts and good accommodation. Just what we needed. We loved all the info sent by email, and the weather forecast was very useful. Pure luxury. Once you arrive, everything is taken care of for you. Very efficient and helpful service. It was all so lovely, David was wonderful, however you fed us too well at lunchtime!